Locations: Kaunas Train Station, Kaunas Picture Gallery, Ramybės Park (Serenity Park), various sites in public space. 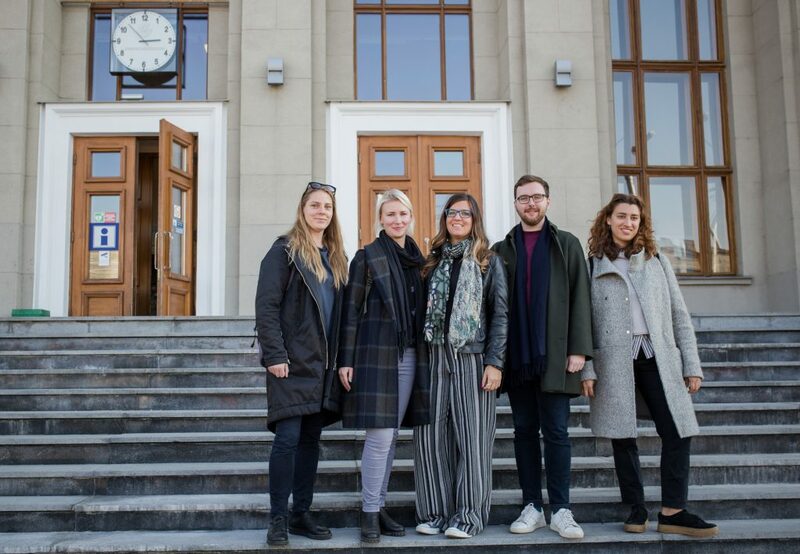 For its 12th edition, Kaunas Biennial has assembled a team of five emerging and international curators: Elisabeth Del Prete (London), Daniel Milnes (Berlin), Lýdia Pribišová (Bratislava), Neringa Stoškutė (Kaunas), and Alessandra Troncone (Naples). The exhibition explores the journey as a metaphor in the context of the burgeoning cultural identity of a city with a complex past. 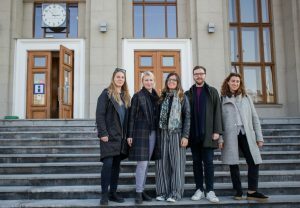 Over the course of recent history, Kaunas has been caught in a state of political flux, transitioning from one regime to the next. Even during its prosperous twenty-year phase as capital city after the Polish annexation of Vilnius between 1919 and 1940 Kaunas remained in waiting, set to regain its status as second city after the liberation of the former capital. What followed, however, was occupation by the Soviet Union, then Nazi Germany, reoccupation by the Soviets, and finally the declaration of Lithuanian independence in 1990 with the country becoming a member state of the European Union in 2004. This chain of events restored not only Lithuanian national sovereignty but also the status of Kaunas as second city with the stubborn moniker “temporary capital”. This perpetual change has shrouded the city in a collective amnesia fueled by discrepant lived experiences across the different generations. Now, looking forward to its tenure as European Capital of Culture in 2022, Kaunas seeks to carve out a unified path to the future on its own terms, mythologizing its troubled past in order to write new narratives for the present. AFTER LEAVING | BEFORE ARRIVING takes the story of Kaunas as its point of departure to examine broader notions of passage, transition, reorientation and repair in the context of individual experience and intergenerational structures.